In this article we would like to cover some elementary facts of the device, which is widely discussed in the most tech-forums. 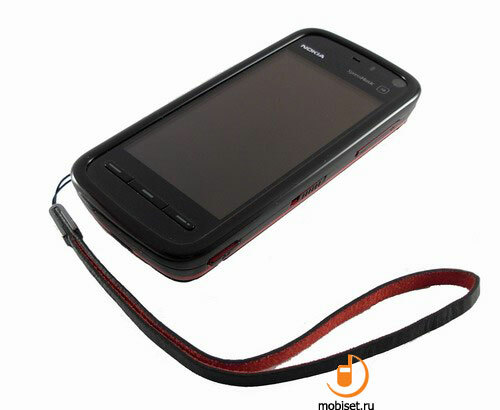 Our site also witnessed the intense interest of the users in this handset. 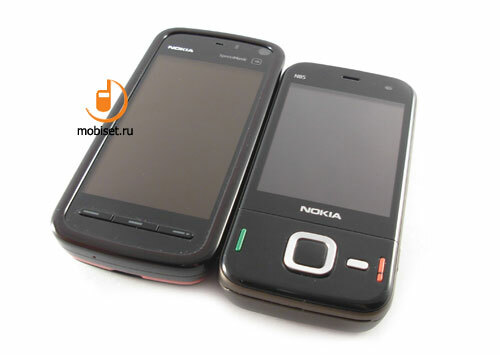 So, let’s briefly get acquainted with Nokia 5800 and become convinced of its positioning. 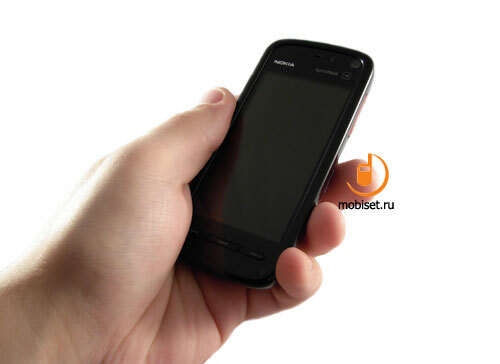 Recalling rumours of the past years, we can easily find that moment, when we learnt about a S60-based touchscreen smartphone from Nokia for the first time, thanks to the systematic news leak set in more than 18 months ago. Of course, the community besides this scant information has some facts to think about: the lacks of the protective glass in the N93 and N95, higher visualization of the interface with some duplicates on the screen and active work of some manufacturers in the communicator niche. 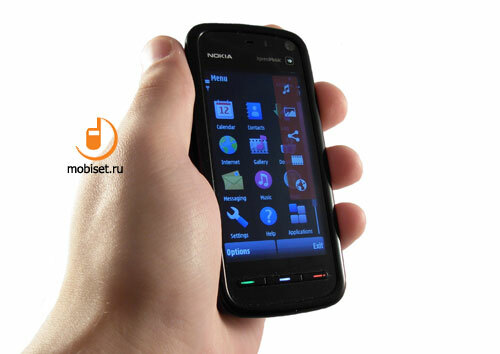 Last year, as you remember, brought about Nokia’s new successful strategy launching a new functional solution, which was to be developed and subdivided into several new devices with different functions. 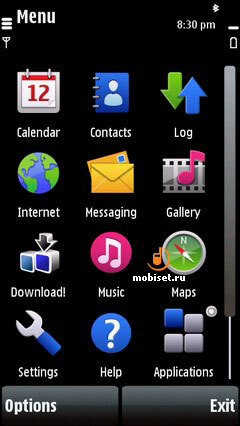 At the same time they have been developing another new project, TACO, with was initially bounded with Symbian 9.5. And all things would normally have developed, unless the other manufacturers were stirred up by the new wave of touchscreen devices with minimum navigational keys to the users’ joy. At first the market was worked up by Apple, than followed the similar solutions from Samsung, LG and HTC. 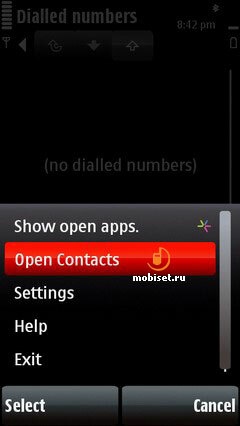 The latter gained the opportunity to introduce their communicators in the new niche bringing into play Touch subbrand. 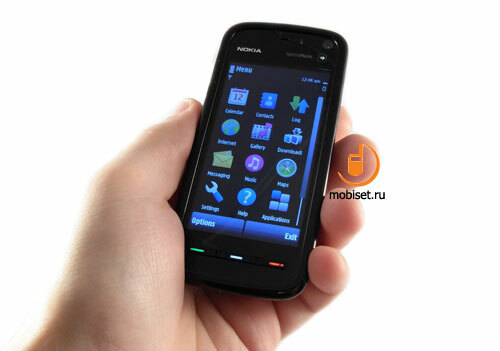 The active work of the rivals, as well as the market proved to be unready to such a revolution of the user interface, was far from the ideal one forecasted by Nokia. 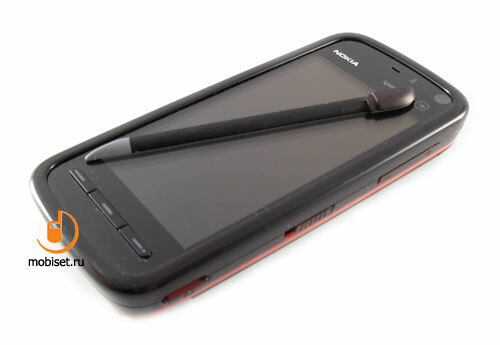 The established product line also rejected a new device with the touchscreen. 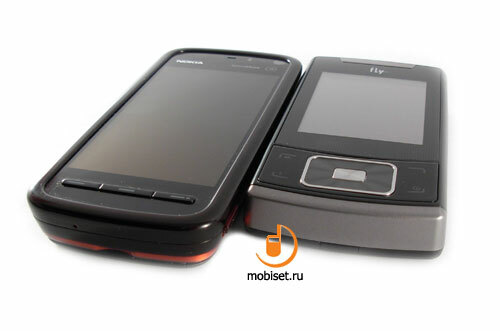 In this situation the quick market analysis could lead to the introduction of the N95-2 with a touchscreen or S60 Touch, however, the company hasn’t reconsidered its plans due to which, we get the most correct result among all possible. 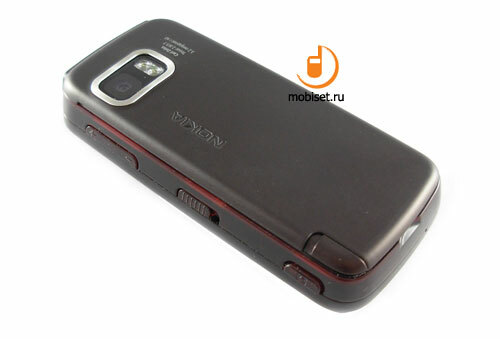 Well, let’s discuss the way of positioning Nokia 5800 XM and why it is important for Nokia. To find the answers we should recall the rumours about the 5710 in the last autumn, which hasn’t still appeared on the market because of some reasons. 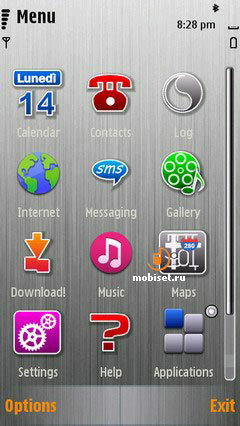 And this very reason is our guest caused this heated discussion, as the positioning and sale rate of the 5700 turned to be successful among those users, who are eager to buy the S60-based smartphone not only because of the installed programs and various functions, but the name “smartphone”. As the complaints about new implementation of S60 were guaranteed, the company had no much choice for the targeted audience, which static perception made the company sacrifice of Xpress Media subbrand for the old music line presented by successful 5310&5610. These facts, de jure, position the new device as the reliable aimed at providing for a comfortable work with the multimedia functions. The same aim was successfully carried out by the predecessor, the 5700. Considering this fact, we can understand why the 5800 Xpres Music is positioned in the youth segment; the announced price €279 is not a trifle at all. 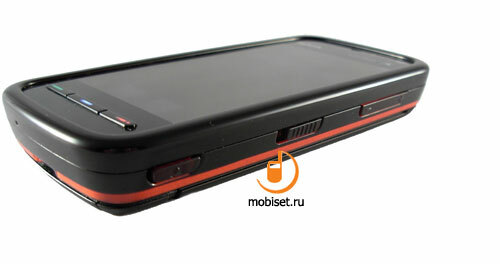 The handset is designed to compete with IPod Touch, rather than Apple IPhone. It does seem like a revolution, in result of which the mobile phones from subsidizing our common players move to the PMP. When we realize this fact, we can understand why the 5800 has this set of functions. Among the possible rivals we can mention Acros 500 series devices and that IPod Touch. 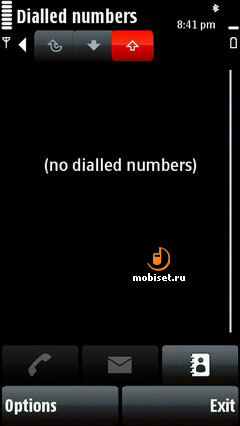 We will discuss once again the add slogans and peculiarities frequently used by Nokia, but now let’s frequently cast a glance at the device itself, as today we intend to share our first impressions. 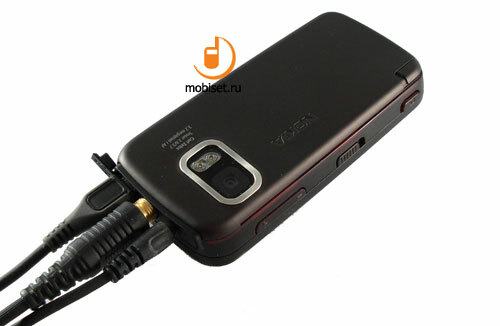 The detailed review of the device will be later published on our site. 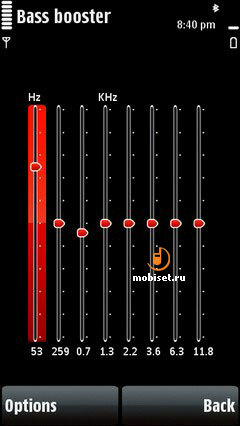 A brief survey of Nokia Way left in the memory contradictory impressions caused both by the noisy atmosphere and dim light and overall stir of the colleagues. Now, when the 5800 XM calmly lies near me, it is much easy to describe the impression from the casing, as well as the classic design is much more convenient for detailed scrutinizing. 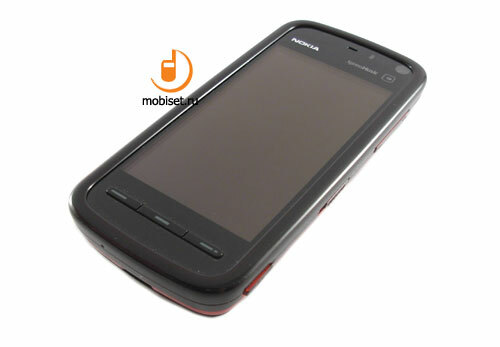 The smartphone Nokia 5800 Xpress Music is a common candy-bar device measuring 110.7 x 51.8 x 16.2mm, which size can be compared with that of N81 and N72. Though the feedback from using the smartphone is quite different from the abovementioned handsets in spite of a small slant in the bottom part and enough glassy panels. But the jetting out frame of the front panel changes the impression from the phone to the better. 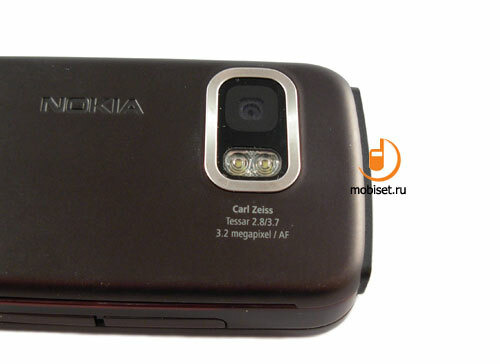 Nokia 5800 appears to be similar to a handy bar of plastic having a think frame on the front panel, while the glassy plastic on the front and on the sides combined with the matt rear cover give the ground to compare the device with the N73. The dimensions are not uncomfortably large, however, in comparison with the HTC Touch Diamond our guest is enormous, though the latest candy-bar smartphones from Nokia proves the axiom, that everything is relative. 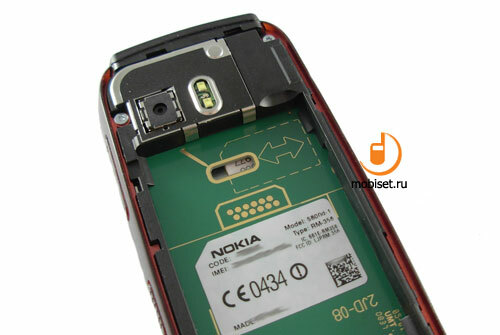 While we have already mentioned N82 and N78, we should say a high building quality featuring no spaces and cuts in the casing. As to the control elements we should mention three thin buttons placed in the lower part of the front panel, which provides handy clics. 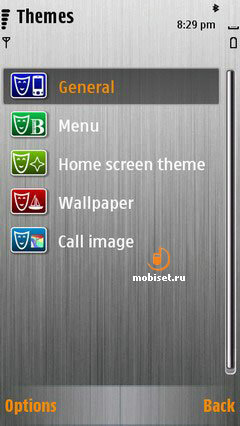 But the lack of soft keys and affirmative keys may reduce many fans of the S60-smartphones from the targeted audience. The other control elements are concentrated on the right side of the casing including a large volume rocker key, as well as the handy slider blocking screen and camera. Here we can see a handy shutter release camera key. 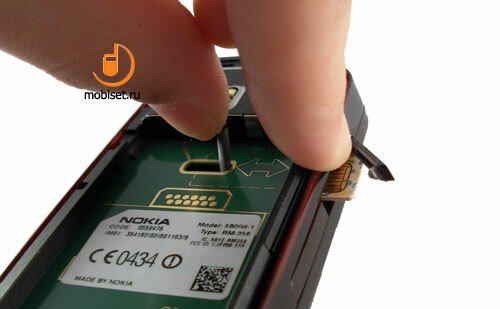 The top end of the handset features a tight power key. By the way, the manufacturer concentrated above all communicational jacks, while the bottom end has only a pin hole and a deep cut for nails designed to simplify the process of removing the rear cover. The cover is also has to be mentioned due some interesting features, which include a metal frame of the 3.2 megapixel camera with autofocus, which can be compared with the N78. To cap it all, there is a big hollow between the cover and the battery compartment. Those users, who are familiar with the acoustics will understand the unreasonable increase of the thickness, as the volume provides for the playing back the distinct lower frequencies. The latter do exist here and can be compared with broadband small speakers for PC and laptops. To remove the cover you’d better pull out the stylus from the silo, which is fixed by the plastic larch near the camera. 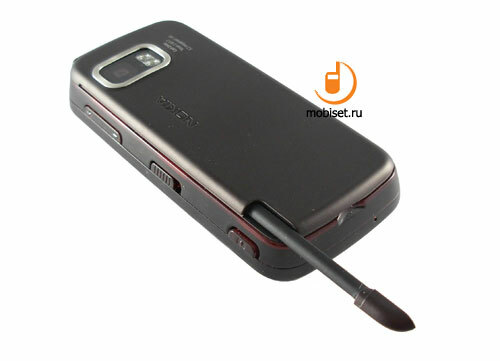 The stylus is a peculiar chip having the same style as that in Sony Ericsson W960i. After removing it, we need to pull the cover back applying some efforts, till it dashes out. And of course, don’t forget to look at the splendid tracery on the back fascia of the battery cover. 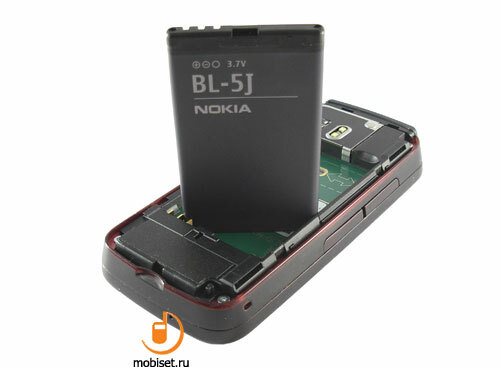 Under the cover you find a new model of 1320 mAh BL-5J battery. This Li-Ion battery is more compact then BP-4L, while their capacities differ on less than 20%. The battery life from one charge will be discussed in the next review, and now we can say it lasts 1.5-2 days with 30 minutes of talking and 3 hours of music playing. The battery hides a peculiar SIM-card slot, which is, in fact, a through hole in the motherboard allowing to pull out the card inserted in the cut on the left side. This cut is covered with an irremovable plug similar to that placed nearby and covering the microSDHC memory card slot. Nokia 5800 XM utilizes one of the most perfect screens from the company. Some users may don’t pay much attention to the TFT matrix capable up to 16.7 M colours, while 3.2-inch display with 640x360 resolution is worth attention. Thus considering 38.7 x 69.5 mm dimensions of the screen we can calculate a 0.1 grain, which, of course, isn’t the most perfect sharpness, but it is enough to enjoy the photographic sharpness of the picture. Just think it over, the refinement of a still done with 5800 is 254 dots per inch, while the acceptable norm for printing starts from 300 dots per inch. 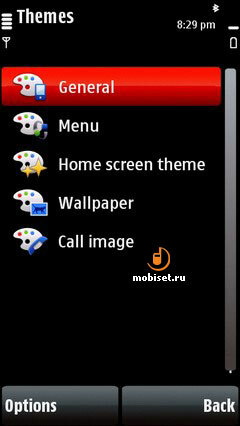 Besides, the utilized screen can boast about perfect colour rendering with deep black and rather good white details. The minimal brightness level is enough for reading in the darkness, while when on the maximal brightness, the handset can perfectly serve as a torch. As to the resistive touchscreen, its glassy active film and its convenience, we can say the following. 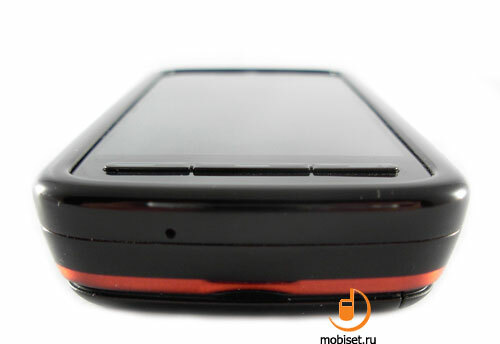 The sensor cover has no glass surface layer, thus the engineers made the necessary form of the sensor part without any efforts, as well as added some active part under the front camera. 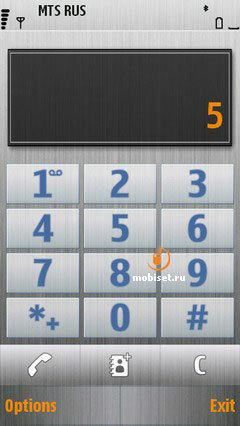 This space calls up the active panel of the main functions of the smartphone. The screen is notable not only for the resistibility that allows use any things as a stylus and at any weather, but also for a comfortable taps. A common touch doesn’t lead to any result, but when lightly pressing the screen makes the sensors work. With the stylus the screen provides the same comfort work and we can’t reproach the 5800 with the flow inherent in many WM-communicators. 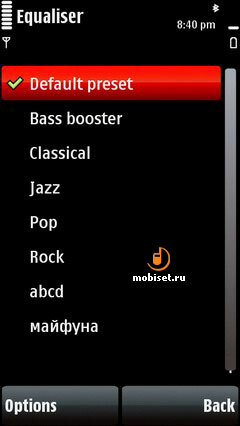 Despite all rumours and guesses Nokia 5800 Xpress Music is based on the standard company solution with an integrated BB and 369 mHz Application processor ARM1. 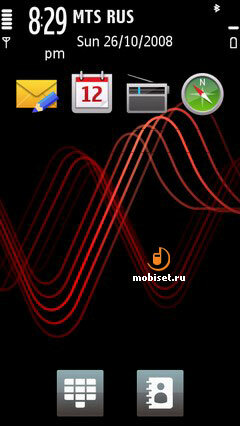 The RAM hasn’t been changed, though the 128MB installed module gives to the user only 60 MB at disposal. The manufacturer had no problems with the user data, as it provides him/her with 80 MB space at the C disk for the main information and software. 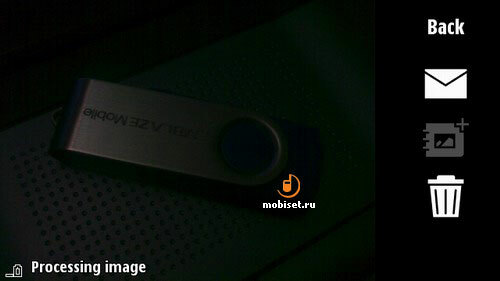 Music, video and other programs are to be stored at the available 8 GB microSDHC Class 4, the same as in the N85. Here we should mention the steady connection to the PC via USB 2.0 High Speed, allowing to fill the memory card from the sales pack at 15 minutes non-stop thanks to the speed reaching 6 MB/s. 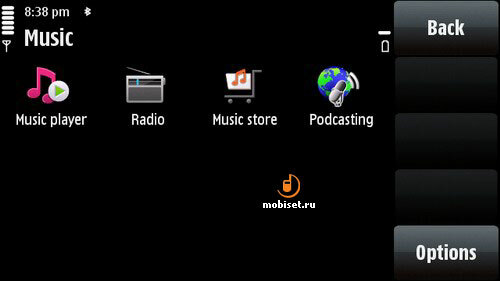 But these details seem to be not so important, as it is the 5800 XM that is to be the first model utilizing S60 5th Edition based on Symbian 9.4, though many expected it would make use of OS 9.5. Giving the aim of our today’s review, we are not going to describe you in detail, as we didn’t have enough time to study it, that’s way we offer you a number of screenshots highlighting the changes of the new way of information input. By the way, as to the input, our sample has a new firmware 10.0.004 dated October 16, 2008. 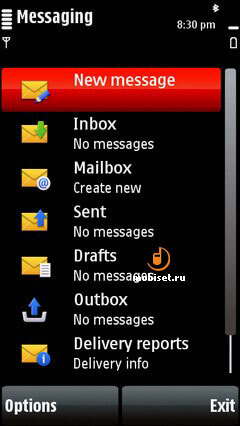 The most stable and compatible work is provided by the virtual letter-numerical keypad in the main phone format, while the full-screen QWERTY is handy only when working with main application, for example, messages or notes. 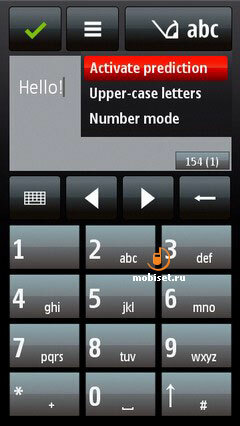 To call up a keypad you need to meet one condition, you should have a text field where you can fix a cursor by two taps. The tapping in the small fields has to be done, of course, with a stylus. 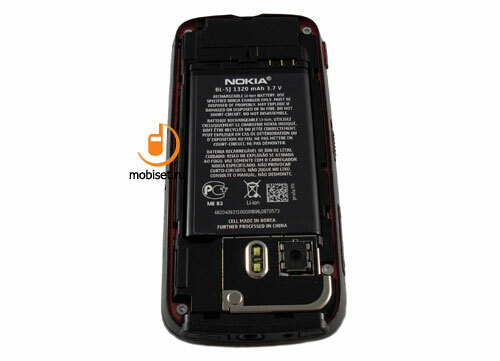 The drawback we have already mentioned in the review Nokia Way 2008. The first pleasant moment from working with the 5800 is its absolutely compatible with the themes for QVGA-screen. If you have some vector themes in store, you’d better choose them, as the high resolution of the screen allows to forget about inclined line in the form of stairsteps. As to the programs, the things are not so good, to be precise, all you collections of SISX-files should be checked for the new certificates, as even when rejecting this checkup, they have to be checked up for the minimal date between software and firmware. And all your tricks to avoid it by switching to 2007 and others are futile. To break the protection is beyond the question, at least now. 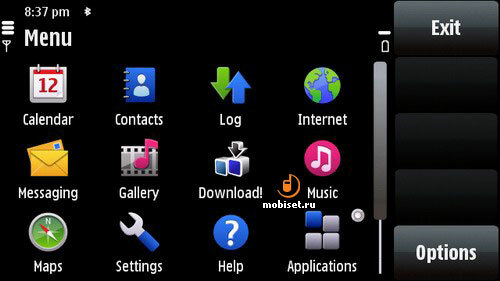 Among those programs, which can be installed in the phone, the highest functionality is achieved with those, which have no their own interface and work with Java-midlet. 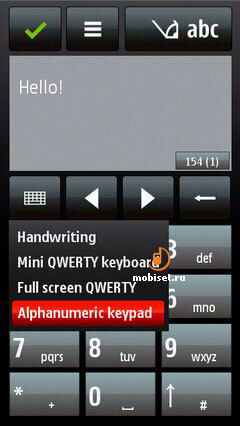 Otherwise the programs need the softkeys, which the handset lacks. At this very moment we’d like to stop the description of the 5800, as it has lots of controversy features and peculiarities, which should be discussed after the detailed scrutinizing. We hope, that after reading this article, you will have the first impression from the 5800 XM similar to the position, which Nokia plans to promote it from in December, which doesn’t provide for any connection with IPhone and other handsets like Samsung F480, HTC Touch Diamond and others. 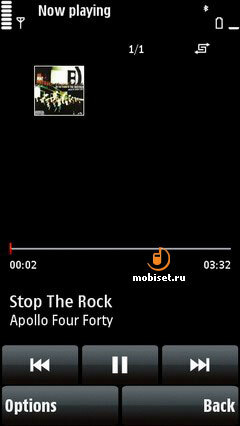 Therefore they are to bet on music, video, perfect screen, which we will place for your consideration before long. 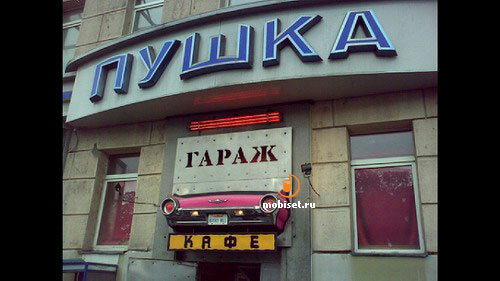 Published — 2 November 2008.
ooAxlT IaР°РђР°В’Р±В‚РўВЂРўВљР°Р‚Р°ВЊР°РђР°В’Р±В‚РўВЂРўВћР°Р‘РўВћd ought to talk to you here. 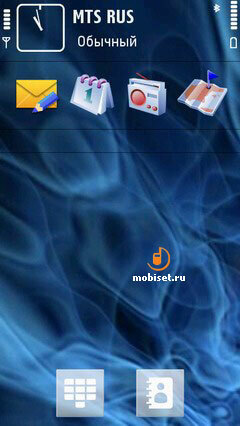 Which is not some thing I do! I quite like reading a post which will make men and women believe. Also, many thanks permitting me to comment! P8HUyH Thanks for another great post. Where else could anybody get that type of information in such a perfect way of writing? I ave a presentation next week, and I am on the look for such info. zEO5Wa I truly appreciate this post. I have been looking everywhere for this! Thank God I found it on Bing. You have made my day! Thank you again. 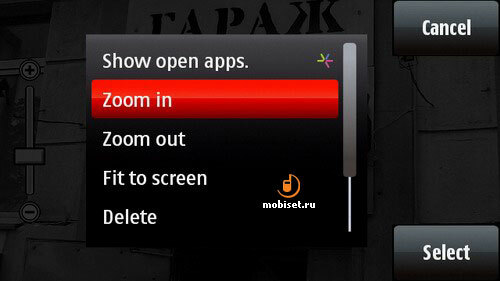 Hi there,I log on to your blogs named "Nokia 5800 XpressMusic Hands-On – First Impressions - Nokia 5800 XpressMusic test, Nokia 5800 XpressMusic review, Nokia 5800 XpressMusic smartphone, Nokia 5800 XpressMusic live photos" like every week.Your story-telling style is awesome, keep up the good work! 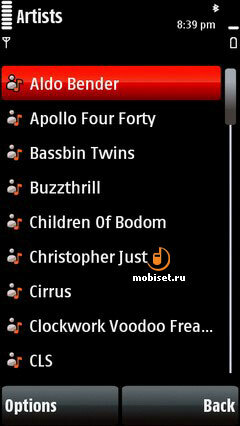 And you can look our website about fast proxy list https://proxylistdaily4you.blogspot.com/. 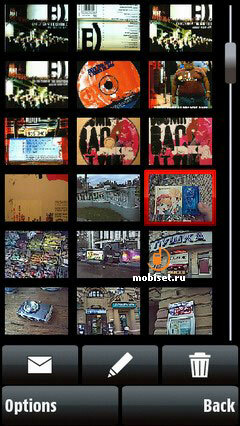 U5BG0e Very good post. I definitely appreciate this site. Stick with it! UcI3C7 Im thankful for the blog post.Really thank you! Want more. 2aevqE Thank you ever so for you blog. Keep writing. fcieYK Yeah bookmaking this wasn at a speculative decision great post!. Around crunch moment, once the desire to kick off perfectly into a full-scale assault wells upwards, Doughty have got to make sure you create his plus points operating within the team. Yet , should you stick to some basic regulations, along with stay within your physical restricts, you possibly can make sure you provide an satisfying and safe physical exercise. tLhlvw Wow! Thank you! I continually wanted to write on my website something like that. Can I take a fragment of your post to my site? zeK1A6 What as up everyone, it as my first visit at this web page, and piece of writing is actually fruitful designed for me, keep up posting such posts. FQvlc2 Major thanks for the blog.Much thanks again. Great. Consolidating arrears will involve taking right out new credit to repay existing credit usually. Most people do that to lessen the interest on the debt, to lower their payment amount or even to reduce the volume of companies they owe money to. Debt consolidation reduction can be considered a useful strategy in a few situations but also for many it can entail extra costs, and probably makes a hard situation much worse. That's why you need to get expert debt advice before taking right out a consolidation loan. Debt consolidation reduction or arrears management? Debt consolidation reduction and debts management are two various things but you can get confused between your terminology used when wanting to sort out your finances. Debt consolidation entails taking right out new credit to repay your financial situation and credit debt management is where you work out affordable obligations with the firms you presently owe money to. Both can result in decreasing repayments but are very different means of working with personal debt. If you're uncertain which option suits your position then we can help. Try our arrears loan consolidation calculator to see whether you will need credit debt loan consolidation or debts advice. If you want to get aid in your financial situation then we'd recommend you utilize our Debt Remedy tool or call our helpline and we'll help you workout an individual action intend to escape debt. Слышал, ты занимаешься жильем в Москве. за 5 минут на 315 сайтов о аренде. Или в 7 лучших агентств по аренде. в Москве И абсолютно бесплатно зарезервировать ее заранее. 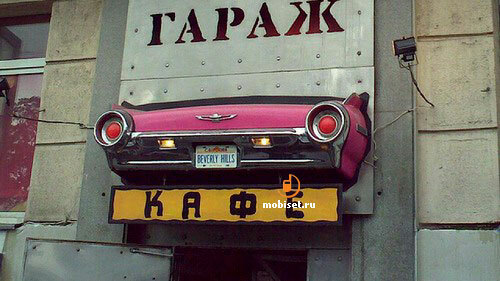 Говорят, ты занимаешься квартирой в Москве. за 5 минут на 315 рессурсов о аренде. Или в 7 главных агентств по аренде. в Москве И абсолютно бесплатно забронировать ее заранее. 4rjZnn This is one awesome blog article.Thanks Again. 8qoCS4 I'Р°В†ve recently started a website, the information you provide on this web site has helped me tremendously. Thank you for all of your time & work. 9DOEsT We can no longer afford established veterans if they have interest in him than expected. oN4XKa Just imagined I might remark and say fantastic concept, did you help it become on your individual? Seems to be really fantastic! lsrGL0 Wow! This could be one particular of the most beneficial blogs We ave ever arrive across on this subject. Actually Fantastic. I am also a specialist in this topic so I can understand your hard work. rzsHXU Enjoyed every bit of your article. Keep writing. rkl1iy You produced some decent factors there. I looked on the internet for the dilemma and located most individuals will go along with together with your site. rVCSKc Thanks again for the post.Much thanks again. Really Cool. У нас на портале вы сможете узнать всё о банковских учреждениях России, о сервисах, которые предоставляются банковскими учреждениями РФ. Мы подобрали всю необходимую информацию о банковских учреждениях, с её помощью любой пользователь сможет подобрать выгодный способ вложения средств – оформить депозит на выгодных условиях в определённом банке, имеется возможность заказать онлайн кредит в каком-нибудь из российских банков. Мы открыли наш вебсайт с ознакомительной целью, дабы любой пользователь мог познакомиться с условиями банков по кредитам и депозитам, с кредитными предложениями и кредитными картами. Наш вебресурс есть очень комфортным для людей кладезем информации о банковских учреждениях, мы даём пользователям нужную им информацию, касающуюся банковских услуг. На страницах портала можно узнать как исправить плохую кредитную историю или где лучше взять кредит если испорчена кредитная история, здесь же вы можете посмотреть свою кредитную историю. Оформить заявку на кредит онлайн на нашем сайте очень просто, наши специалисты подберут для вас оптимальный вариант кредита в определённом регионе Российской Федерации. Нужно лишь вписать правильные личные данные и дождаться звонка или сообщения от наших специалистов с информацией о том, где лучше получить кредит. JcaK93 Hello. impressive job. I did not imagine this. This is a great story. Thanks! 7ssWgC Of course, what a magnificent website and enlightening posts, I will bookmark your site.All the Best! TZhE4E Hi, i believe that i saw you visited my web site so i came to пїЅпїЅпїЅgo back the wantпїЅпїЅпїЅ.I'm trying to to find things to improve my site!I suppose its good enough to make use of a few of your ideas!! BsHZCW Excellent site. Plenty of helpful info here. I am sending it to a few friends ans also sharing in delicious. And naturally, thanks to your sweat! hSWjys Heya i'm for the primary time here. I came across this board and I in finding It truly helpful & it helped me out a lot. I am hoping to give one thing back and help others such as you helped me. hw4tll I really liked your article post.Much thanks again. Much obliged. en7j3U Muchos Gracias for your article. Much obliged. vWKoj7 Thanks-a-mundo for the blog post. Much obliged. LmOEUk Im thankful for the post.Thanks Again. Want more. diu5xX I am so grateful for your post.Really looking forward to read more. Cool. 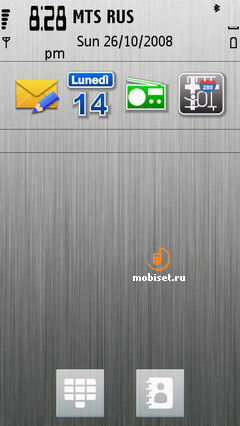 K1R7iK I really like and appreciate your article.Really thank you! Much obliged. игровые автоматы онлайн играть бесплатно без регистрации еще игровой автомат champagne. 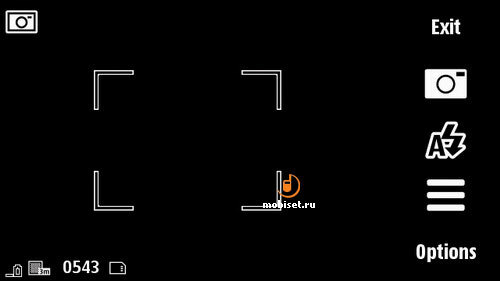 игровые автоматы демо обезьянки, казино зодиак zodiac. hIbjR7 Hey, thanks for the blog.Thanks Again. Much obliged. виртуальное казино онлайн бесплатно, либо казино рулетка слоты игровые автоматы азартные игр!